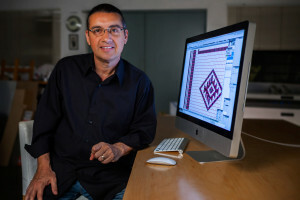 Founder, Guillermo Bert, discovered the power and versatility of laser cutters through years of developing three dimensional relief in his own artistic practice. LA Laser Cutting began as a small community artist resource when Bert, then a professor, began sharing his laser cutters with his students at Art Center. We have grown from a small art studio and production design company into a fully equipped fabrication studio located in the downtown LA Brewery artist community. We view each job as a collaborative experience between creative people and will do our best to ensure our work exceeds your expectations. We produce an array of creative projects including architectural models, three dimensional products, fine art pieces, graphic design, and industrial products. We understand the critical nature of tight deadlines and maintain a flexible schedule to adapt to the needs of our clients. We work six days a week and do our best to accommodate your rush jobs including over night and Sunday work. We are conveniently located in Downtown LA at the Brewery Art Complex which offers plenty of free and easily accessible parking. Contact us for a free estimate by phone or by using the contact page. Please include your file, time constraints, quantity of product, and a description of the project. © 2016 LA Laser Cutting Services. All Rights Reserved.